Today we are interviewing Kristel Keys Running, author of Simply Communicate: A Business Guide to Strategic Communication. I have always had a passion for communications. In high school and college I wrote for the school paper. I have worked in the marketing and communications field for the past 15 years and specialize in strategic planning, messaging, and writing. I have worked in a multitude of industries, including manufacturing, retail, airline, and food and beverages. I founded Obsidian Link Communications Consulting. I help businesses identify their communication needs, develops a strategy on how to meet those needs and help implement the plan, as needed. I also conduct workshops and trainings on best practices in communicating. I have a bachelor’s degrees in Communication Technologies Management and a master’s degree in Business Communications. I live in rural Wisconsin with my husband, Adam, two small children and my cat. Describe the purpose of Simply Communicate in a few sentences. 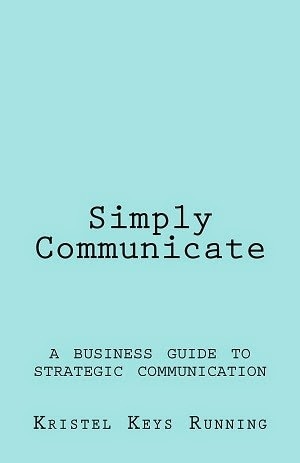 This book is intended to help businesses recognize that communication is an important aspect of creating a successful business. 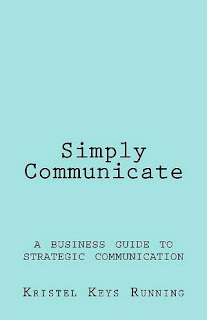 The book is a do-it-yourself guide for businesses who want to identify their needs and create a strategy to be effective communicators. Small business owners who want to undertake communication efforts themselves. Communication managers or staff to increase their efforts. What inspired you to write a book to help businesses recognize that communication is an important aspect of a successful business? 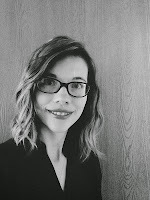 After working in many different industries over the past 15 years in communications, I have seen many communication problems, assumptions and failures. I want to help businesses organize their communication efforts into a strategic plan to get the most of out their time and efforts. Why do you think many businesses undervalue communication? I do. Many businesses want communication to happen, however they don’t provide the time for effective communication to take place. Or they think communication will just happen and there is no strategy to it. I discuss this in detail in the book. What are some of the biggest problems business have with communication? I actually have a whole chapter dedicated to the biggest problems and how to overcome them. Time is a big one. Do you think modern communication technology, such as text messaging and video conference calls, makes business communication easier? It has definitely made business communication easier. I’m not sure it’s more effective, but it is definitely easier. We’ve come to a point in our lives where we have too much communication due to these modern conveniences, so it’s more challenging to weed through all the information we have access to. It is my hope that readers understand the importance of strategic communication and it will make it easier for them. Easier and more successful. This book is designed to educate people on what to do. It is your job to do the work. If you get stuck though, please contact me and I will walk you through it. There are guidelines noted in the book about how to do this free of charge.